The vast majority of website hosting companies are only interested in one thing… quantity. They offer hosting for pennies on the dollar and typically overload their servers. The old adage applies here… “you get what you pay for.” This overloading causes serious speed and performance issues. As you already know – it’s critical that your website loads quickly and consistently. Guardian doesn’t crowd their servers and ensures each website has more than enough resources for consistent uptime and ultra fast page loads. Additionally, Guardian provides more than adequate website protection by making weekly backups of your files and databases. The backups we make are stored for up to 3 months at multiple data centers. If your website should ever become hacked or corrupt – a fresh copy of your website can be restored within minutes. Most hosting companies will only create 3-4 weeks worth of website backups. And in many cases a lot less. This is simply not enough coverage… there’s too much at stake and your website is one of your most valuable investments. Sign up today and rest assured Guardian has your back! "This state-of-the-art web site back-up program protects our sites if they would ever crash or become corrupt. There have been two occasions where this has saved us from losing our site and hours worth of work." Guardian was created with one goal in mind, to give businesses and organizations a fast and reliable option for hosting their websites. Learn more about Guardian's features below. 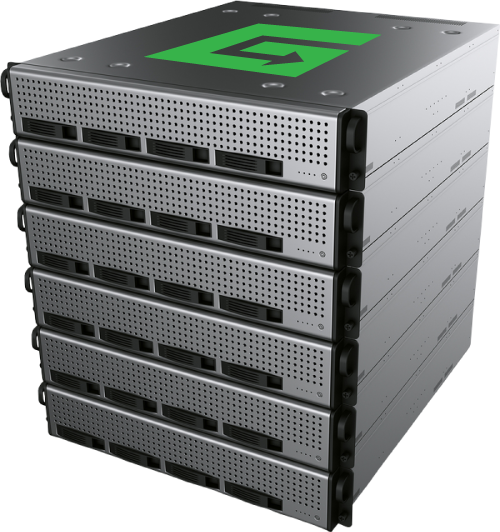 Our servers are built to provide you with incredible performance and reliability. Your website backups are saved twice a week to multiple data centers and stored for up to 3 months. Our servers are monitored frequently for threats and are kept up to date with the latest security patches. Our knowledgeable team can help you migrate your website quickly. From small websites to large websites, we have Guardian plans available for everyone.